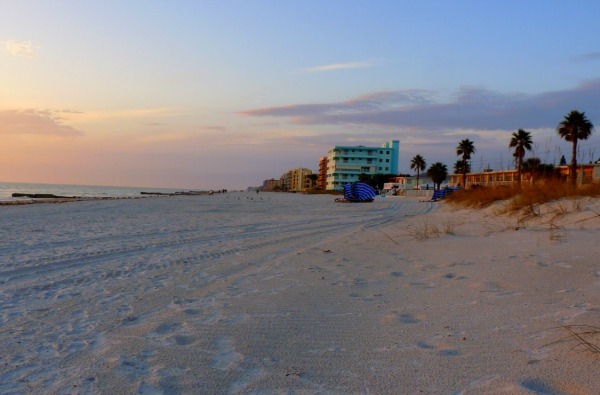 Pinellas County beaches are among the best beaches in Florida even though they stretch along the coast of an intensely populated urban area. If you search for them, you can find the quiet spots and enjoy what nature has to offer. 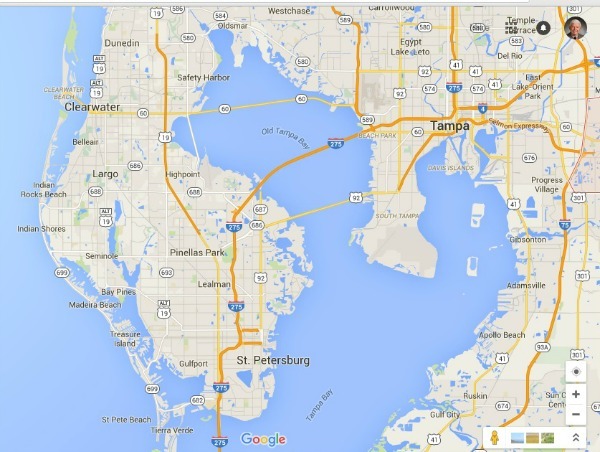 The long stretch of beaches in Pinellas County begins in the north with Caladesi Island State Park and extends south for more than 25 miles to the tip of the barrier island at Pass-A-Grille channel just south of St. Petersburg Beach. Some towns along the way, from north to south, are Clearwater Beach, Bellair Beach, Bellair Shore, Indian Rocks Beach, Indian Shores, North Redington Beach, Redington Beach, Madeira Beach, Treasure Island, St. Pete Beach and Pass-A-Grille. The main highway along this stretch from Indian Rocks Beach is State Road 699, known locally as Gulf Boulevard. Clearwater Beach: USA Today votes it the "Best Beach Town in Florida". Fort DeSoto Park, Caladesi Island State Park, Pass-A-Grille and Clearwater Beach named by TripAdvisor among "Best in the U.S."
St Pete Beach named by Parents Magazine as one of America's 10 Best Beach Towns for 2013". 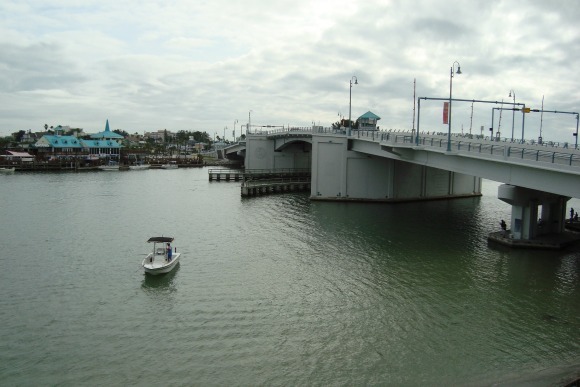 Among many interesting features along SR-699 is Johns Pass Bridge at Madeira Beach. 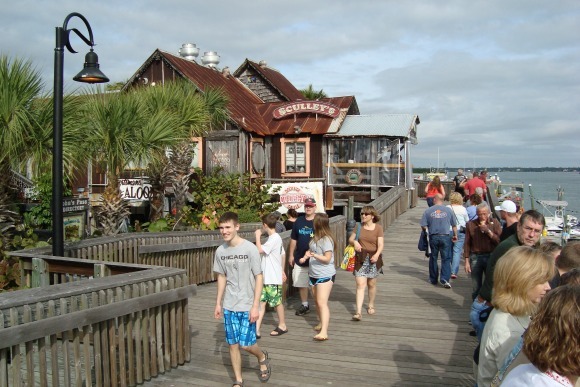 Johns Pass Village on the north shore of the pass is a shopping and dining destination and a focal point for the dozens of motels and hotels on the ocean north and south of the inlet. 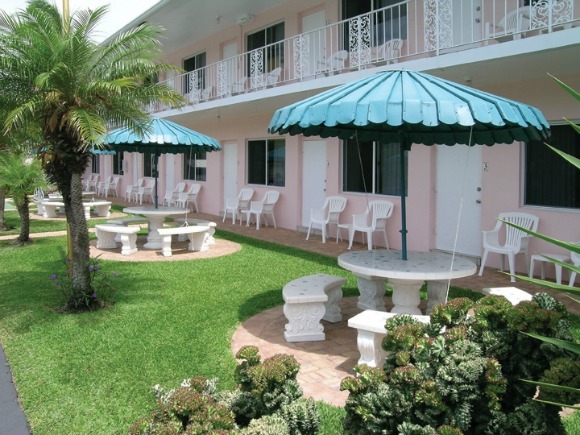 There are hundreds of hotels and motels along the stretch of beach country, and many of them are directly on the Gulf with immediate access to the white sand treasures outside your motel door. There are also numerous public parks and access points along the way. One of the largest county parks along these beaches is Sand Key Park, just south of Clearwater Beach, with nearly one half mile of gulf front beach. Another large county park at the very south end of this stretch , even south of Pass-A-Grille, is Fort DeSoto Park. It is one of the largest county parks in Florida and has more than seven miles of beach. 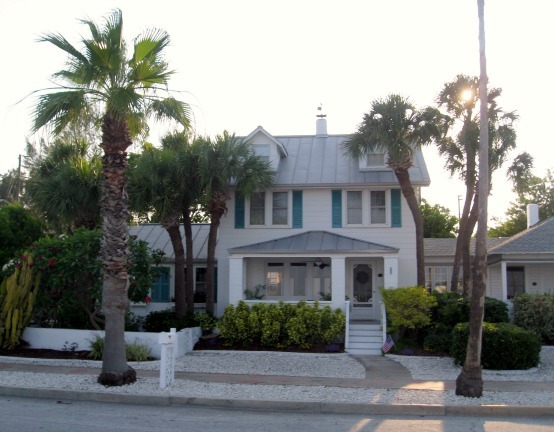 Some of the most economical beachfront lodging in Florida can be found along this stretch of Pinellas County. Many of them are mom and pop lodging mentioned on our website.